Because of his turbulent childhood, Kale tries to make safe life choices. He stays by his twin's side, serves his coven leader and never sleeps with the wrong kinds of guys...until he finds himself drawn to the most unsafe man in the world--fellow warlock Ian. Once, Ian was part of the most dreaded coven known to the supernatural world. Although he left the coven at the same time his brother and cousin did, Ian still feels as if those years surrounded by evil stole all the good from him. Many fear him, and Ian likes it that way for he never wants to be seen as weak or vulnerable. 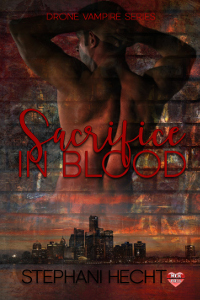 He's confused when he falls for a quiet warlock with a noble spirit, but that doesn't stop Ian from making a great sacrifice in order to save Kale...a sacrifice that leaves Ian weaker and more vulnerable than ever. Now, Kale must protect Ian from the enemies hunting them. As death draws closer, Kale discovers that maybe the safest choice isn't the best. Still, will he be strong enough to save both of them, or will they become the next causality of the war.